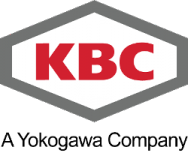 KBC, a wholly-owned subsidiary of Yokogawa Electric Corporation, is all about excellence in the Energy and Chemical industry. We make excellence real for our customers through the actions of our people fused with our technology and best practices. We provide leading software and expert services, powered by the cloud, to assure process operations achieve their full potential. Our customers achieve operating performance that surpasses ordinary standards, now and into the future.